McLaren have made headlines for all the wrong reasons in pre-season testing as they have been let down by their Honda engine. It was more of the same on Thursday with Vandoorne breaking down twice within the final hour of the morning session. McLaren-Honda identified an electrical problem, which also sidelined the Belgian racer for the final hour of testing. He covered just 48 laps on the day and fears McLaren’s lack of long runs could mean there are problems that they have yet to discover. “We’ve had our fair share of problems that halted our progress here in long runs,” he told Motorsport.com. “That’s work we weren’t able to do. “It’s always important to do long runs because there’s many things you discover by completing a lot of consecutive laps. “Now there’s problems in the car that we have not exactly discovered yet. A lot of our runs have been broken up. We don’t know exactly how the temperatures will evolve over 50 laps or so. 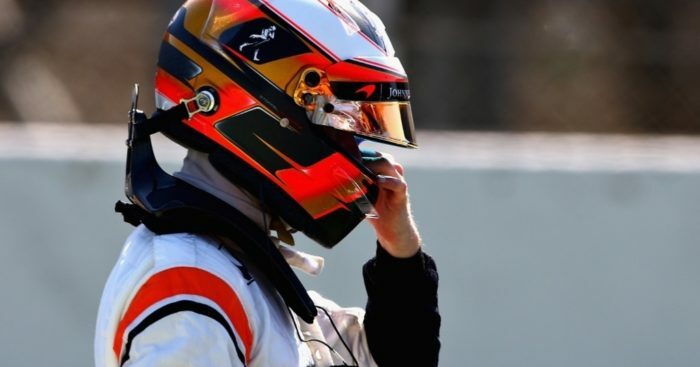 Although this season will be Vandoorne’s first as a full-time race driver, the former GP2 Champion has been with McLaren since Honda re-joined as their engine partner in 2015. But while conceding that it has been a “difficult” two years for the partnership, Vandoorne says this year’s troubles are unexpected. “The last two years were difficult for us, but we’ve seen quite a bit of progress throughout which was encouraging. Everybody came here expecting to see a big step forward. “The problems we’re facing now are probably a bit unexpected and it’s not ideal, but this is the situation so we can’t sit still and do nothing. We just have to work very hard and push everyone in the right direction.